It should not longer seem unusual to hear talk of “industry 4.0”, since this is the future of business—though it might already be here. Called the fourth industrial revolution, industry 4.0 is none other than a management method where the new technologies lead to greater automation, a connection between digital and physical elements, a gathering of large volumes of data, and their analysis to improve process quality. Sticking to a backwards view of production processes, without taking into consideration all the opportunities that technological development provides, means to inexorably begin slowing down growth. The effects of failing to adapt to the idea of a “smart factory” will perhaps not be apparent in the short term, but certainly over the following years will be clear and inescapable. If you still haven’t considered industry 4.0 for your business, then you're probably already late. Today’s companies, if they haven't already, must determine how they will automate production processes, introducing digitally controlled and network-connected robotics. This is also true for welding systems. 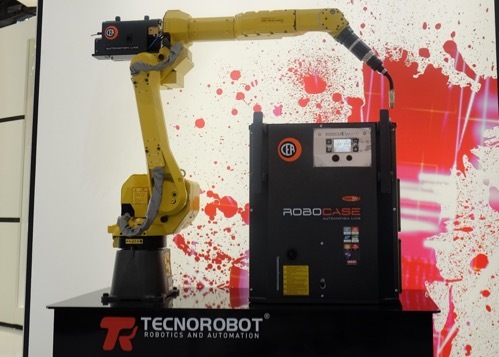 The benefits of robot welding are increasingly tangible: just think how human error can compromise work. Continuing to use old welding machines with no digital controls will increasingly become a problem. Those who stay behind, who don’t consider this major evolutionary step in the industry, will see themselves in a few years conversing with partners who use advanced technologies, ones that will be hard to integrate with old machinery. MIG and TIG welding machines suitable for modern-day automation have software that can be updated, precisely because they must always be ready for ongoing developments. 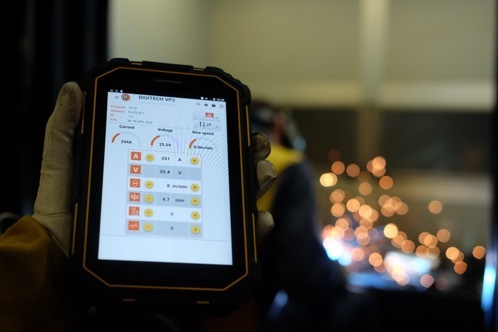 A good welding machine purchased a few years back, one that wasn’t made with industry 4.0 in mind, will shortly probably no longer be able to ensure the required welding efficiency. The synergy between systems and remote maintenance are realities that industrialists are already aware of, but in the near future we will witness these processes be modernised as well. The progress of welding process is constant and keeps pace with that of other technologies applied to industrial processes, so these work tools will also need to be adapted to industry 4.0. The new production method, which is taking shape and will be essential over the next few years, involves the possibility of working on small commissioned orders, but without increasing production costs or their time. Which is why the solution is to have fast and efficient welding systems. Those who will be unable to meet customers’ new requests will not have enough time to catch up adapting their company’s technologies. In conclusion, we have to say that each industrial revolution brings critical issues for those who are not ready to adapt and opportunities for those who work with foresight. Through major investments by the most industrialised countries in the world, the march towards industry 4.0 has already become a race in which we must take part.